He’s one of the most exciting and elite athletes in the NBA, a breathtaking dunk artist, Michelangelo with round orange leather. He’s practiced to be heir to the crown, the son of a professional athlete who was inspired to become a basketball player by Space Jam and who chose Kobe Bryant as a model. He went to school and immediately evoked comparisons to Russell Westbrook. By his third NBA season, he could claim a game with 40 points and seven three pointers. 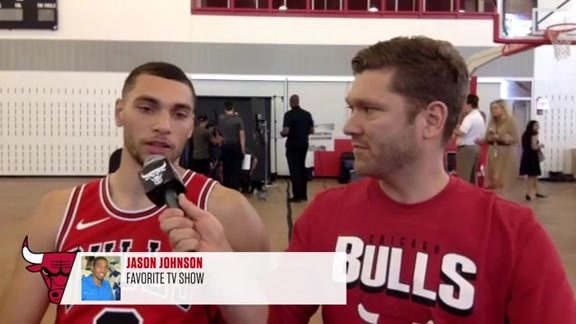 And he’s a Bull, Zach LaVine, who perhaps best represents today’s Bulls. He’s not ready; you need to be patient. There are plenty of questions and concerns, but if he hits it’s going to be spectacular. “I’m extremely excited,” LaVine said Monday as the Bulls opened their 2017-18 training camp with the annual media day interviews. “This is a new opportunity for a lot of people, a new opportunity for me, a new chapter. The surgeon has been telling everybody it’s nine months (until being able to play). I’m very far along in the progress right now and doing things I’m very happy about. I put a lot of work in this. I can’t stand just sitting here. But that’s the way it is. The Bulls, and really all basketball fans, can only hope. The 22-year-old Zach LaVine is the kind of prodigy, the kind of star around whom a team can build a winner. It’s just those three little letters that produce so much distress among Bulls fans: ACL. That was the injury to Derrick Rose that essentially set this rebuilding in motion. Yes, it took five years to begin. But from the day Rose tore his ACL in late April 2012, the Bulls have been an uneasy step away from all this. Sure, there were restarts, first with Rose trying to return and then with All-Star Jimmy Butler and some of his friends. But it led nowhere but the middle. So the Bulls chose to rehabilitate their own painful tear, starting over again with the trade last June of Butler that netted LaVine, Kris Dunn and the first round draft pick the Bulls used for shooting big man Lauri Markkanen. 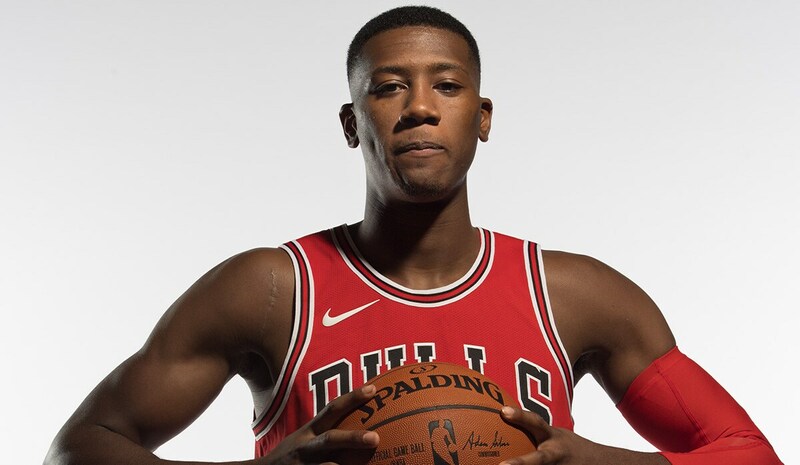 Both Dunn and Markkanen have the potential to be effective NBA starters. But it’s no secret the trade was all about the thrill-inducing LaVine, a sinewy 6-5 shooting guard who was back to back All-Star weekend Slam Dunk champion. Just like Jordan once did. He was as untouchable as any young player in the NBA until tearing his ACL last February. With the Timberwolves having missed the playoffs for the last decade, coach/manager Tom Thibodeau, justifiably, had to take a chance with something more secure for this season, Butler. So he reluctantly parted with LaVine. The Bulls now have more time. They had their run; it proved fruitless in the end, lots of excitement and hope, though no banners or bangles. Now, it starts again with LaVine, though perhaps not really for a few months with nine months after surgery being December. He may not play until January. LaVine when he stopped by Bulls summer league in July said he expected to play in the opener, which is Oct. 19 in Toronto. Nah, it turns out, he was just kidding. The ACL will get the TLC. Which also means there’s going to be a lot of discomfort even as everyone else seems healthy. “I’m going out there to coach this team and put them in a position where we could be competitive and where we could win basketball games. That’s my job,” said Bulls coach Fred Hoiberg. So the Bulls will have their share of Vladmirs and Estragons playing and hope waiting for Zach proves fruitful and fulfilling. They’ll take a lot of losses in the meantime, as everyone understands, but how much gain can there be without pain? And be sure, he says, he’s coming. Paxson confirmed that Dwyane Wade, the last of the so called Three Alphas of the 41-41 Bulls, agreed to a buyout of the one year left on his contract. The leaguewide expectation is he will join LeBron James and Rose with the Cleveland Cavaliers. Rajon Rondo signed in the offseason with New Orleans, against whom the Bulls open their exhibition season schedule Oct. 3. Taj Gibson signed with Minnesota as a free agent and Doug McDermott went to New York in the Carmelo Anthony trade. That old gang of ours drifted apart. In an extraordinary busy NBA offseason, Nikola Mirotic reportedly agreed to a two-year contract with the Bulls, one season guaranteed. He is expected to sign it Tuesday and be at the first practice. So what about that 2-0 lead against Boston in the playoffs? What if Rondo isn’t hurt? The East isn’t very good. Was it time to do this? Hey, they could have been seventh this time. “You can always look back and make judgments,” acknowledged Paxson. “I firmly believe that when we sat there on draft night and made that deal it was the right thing to do for the future. Looking long term and building a solid foundation, we don’t regret what we did." It’s not difficult to remember that often fractious group. Time to forget? "I’m going out there to coach this team and put them in a position where we could be competitive and where we could win basketball games. That’s my job"
Hoiberg, who seemed delighted to finally have a young group with the potential for shooting and faster play if not as many wins, said basically center Robin Lopez is the only player likely guaranteed a starting spot with LaVine out. 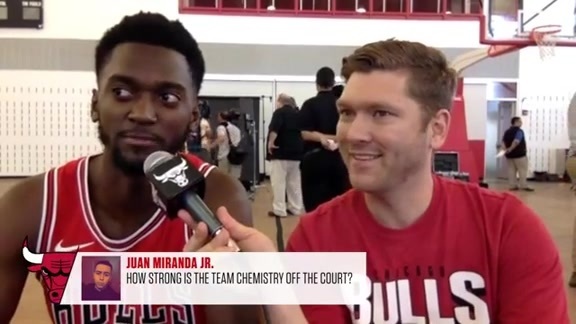 The Bulls hope Dunn can win over the point guard position. LaVine said he’s been perhaps most impressed with Bobby Portis in workouts leading to the start of camp. Portis figures to have an edge to start at power forward. Mirotic and rookie Markkanen will battle for playing time and the starting job there. Jerian Grant will get a shot at both guard spots with Cameron Payne out hurt. One player to watch will be NCAA star Ryan Arcidiacono, who is perhaps the most natural point guard in camp. LaVine played point guard when he was player of the year in high school and is an excellent ballhandler. 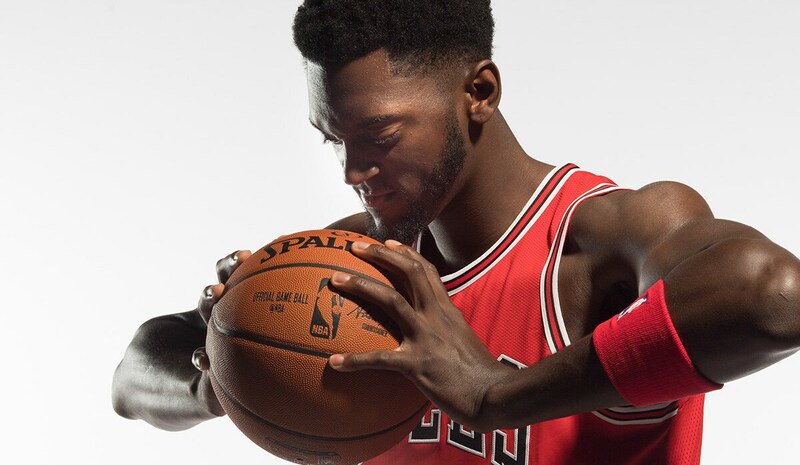 Former Bull Justin Holiday back in free agency from the Knicks has an edge at one of the wing positions with possibilities in camp for Danzel Valentine, Paul Zipser, Anthony Blakeney and newcomers Quincy Pondexter and David Nwaba. “We’ve had 16 players in our gym since Labor Day,” noted Hoiberg. “They’ve shown a tremendous commitment in the weight room as far as getting in shape to play the way we want, with pace, great movement and unselfishness. I’ve seen that with our guys as they’ve played pickup, developing great chemistry going into the season, getting a little bit of a head start heading into training camp. I’ve been very impressed with the attitude and mentality of our players. The thing we’re going to continue to stress through the ups and downs is continuing to play the right way and playing for each and playing unselfish basketball and playing with pace, to be a team that goes out there and competes at the highest level on a daily basis. Whether it’s practice, whether it’s a shootaround, obviously in the games. It’s about going out there and competing and doing it for each other. It’s going to be an open competition for our (starting) spots, to create good, healthy competition, and that’s what I’ve seen from this group basically for the three weeks we’ve had leading into the month." And then there’ll be Zach. “Every day I’m at the gym working so when I get back I can hit the floor running,” said LaVine. “I’m not going to have any constraints or anything like that. I talked to him (Rose). I caught him a couple times out in L.A. He asked me how I was doing, told me to keep my head up, said everything was going to be cool if I work hard. “I have no fear of going through the lane or jumping or anything,” LaVine insisted. “I’m not going to change my game because I got hurt. I think I’m going to be better than I was before. I know I'm a big part of this team. I want to be here for a long period of time. Zach can’t wait; they’re all looking forward.